Marvel doesn't know when to quit but, given their track record, why would we want them to? We don't. So there. 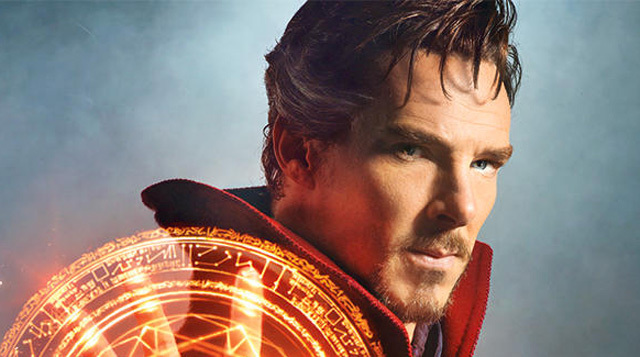 This fall, the latest entry in the Marvel Cinematic Universe -- Doctor Strange -- hits theatres. I was never big into the comics, but it sounds like they nailed the casting in Benedict Cumberbatch (who is so good in the BBC's Sherlock and anything else he does). And if the studio could make Guardians of the Galaxy work . . .Yeah. You know what I mean. Chiwetel Ejiofor co-stars are Baron Mordo and no, I have no idea who that is. But Doctor Strange does hit theatres Nov. 4.